There are weeds, and then there are weeds. This is the worst. Bromus inermis, smooth brome. If the ground is slightly damp, I can pull it right up (like I did immediately after taking this picture; I took an “after” picture too, but showing “before” and “after” for weeds was just too much). Otherwise, I pull and it just breaks off at ground level. Or sometimes I pull it and two feet of root come with it. In some places, I can take a fork and just fork up a whole network of roots, and think that’s taken care of it, but when I turn my back, that faint snicker I imagine hearing, like a sigh on the wind, is the grass sneaking right back. Tried spraying it. It goes through this death agony, “help help I’m dying, is this the end of smooth brome?” and then it’s back. No matter what I do, it returns with renewed vigor. And for a very good reason. There are hundreds of acres of smooth brome just to the west of me, and all the roots are headed right for my garden. According to The Range Plant Handbook, smooth brome was introduced about 1880 for livestock forage, and is also used as a soil binder after the native grasses have been bulldozed into oblivion, for what must seem to some people as very important reasons. A large part of the green belt behind me was recently bulldozed and then hydroseeded with new grass, and you can bet that it was, no, not native grasses, but this monstrosity. It’s considered a noxious weed in a number of states, but not here. Not in any state in the west, that I know of. An exotic plant, an invader, that takes over more acreage than possibly anything else on the planet, is not listed, for rather obvious reasons, as a noxious weed. 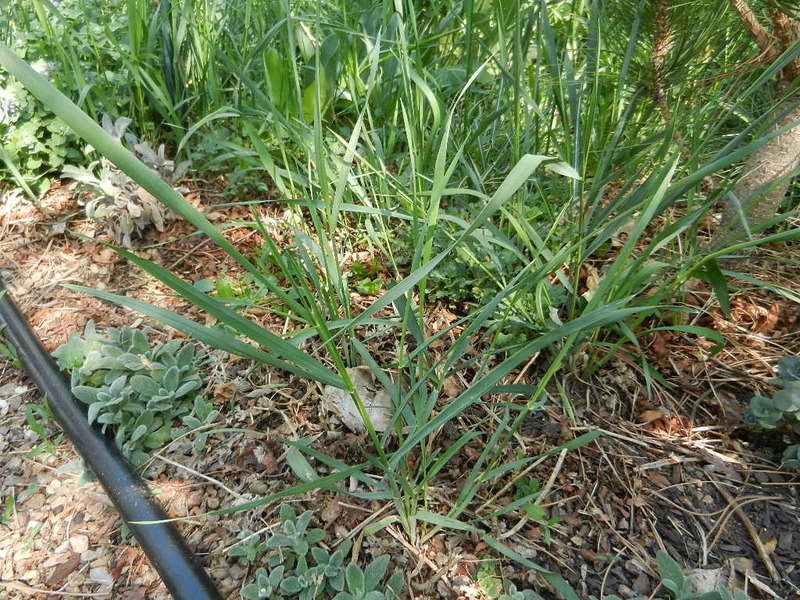 This entry was posted in Uncategorized and tagged invasive exotics, smooth brome, weeds. Bookmark the permalink. Yeah, I know. I’ve tried everything to get rid of it, but the open space next to me, and the open spaces from here to the mountains, 4-5 miles away, are nothing but a sea of it. Pretty hard to win that battle.